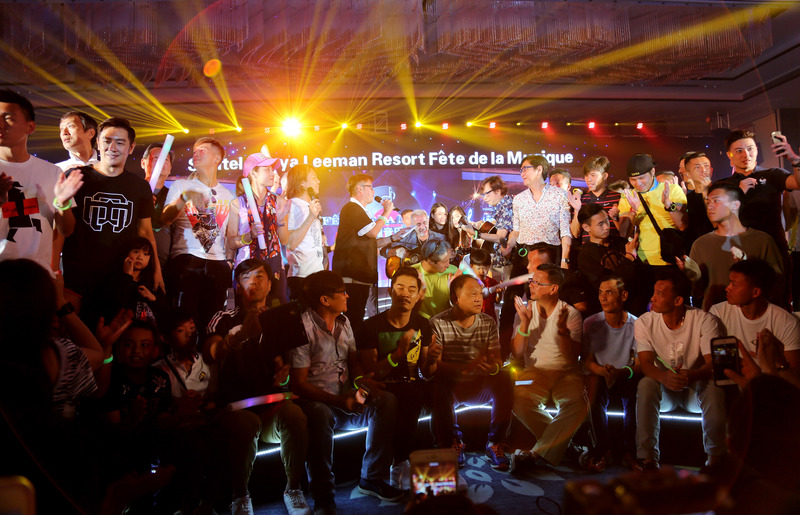 Hainan, China, July 12, 2016 /ChinaNewswire.com/ - Sofitel hotels have been celebrating the French Fete de la Musique since the beginning of June. This annual music event has been held during the European summer since its inauguration in 1982 and Sofitel has been celebrating the festival amongst its 120 hotels worldwide since 2010. This year’s theme for the majority of Sofitel hotels in Greater China has been “Vivre ensemble la musique” (Musical Togetherness), expressed in diverse events. 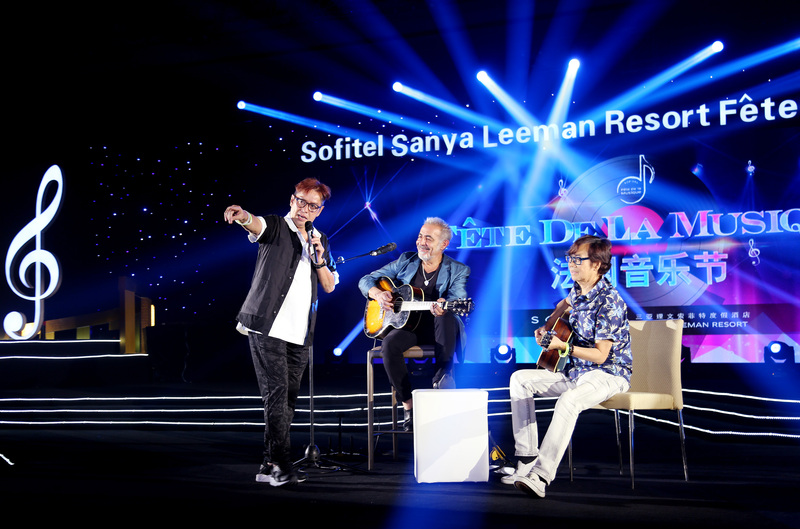 On 24 June, 300 guests enjoyed a special Fete de la Musique at Sofitel Sanya Leeman, the luxury resort that has brought the French art de vivre (art of living) to a spectacular Haitang Bay setting on the southern tip of China’s only tropical island destination. Guests were fascinated by the star of the evening — multi-talented, Henry Padovani, in his newest show, Fly Like a Song. Co-founder of popular English rock band The Police, the legendary French performer has explored many genres of music in the course of his long career. His newest programme includes some of his most famous and best loved songs in an electrifying performance that ranges from dreamy blues to classic rock interspersed with abrasive and sometimes mischievous sounds. Nostalgia was to the fore when surprise guest participants joined Henry Padovani on-stage for some impromptu numbers. Evergreen members of The Wynners, Hong Kong’s favourite pop band from the 1970s – Alan Tam, Bennett Pang, Anthony Chan – as well as Eddie Ng delighted the audience by showing that they had lost none of their appeal in the intervening years. The audience reached fever pitch of excitement! The promotion of French culture is one of Sofitel’s four key pillars — Design, Culture, Gastronomy and Wellness. Sofitel hotels will continue to hold various kinds of events to promote these four pillars as an integral part of the brand. The first Sofitel beach resort in Greater China, Sofitel Sanya Leeman forms an oasis of sophistication and glamour reminiscent of the French Riviera, an infusion of timeless French hospitality and authentic Hainanese culture. Its 477 superbly appointed rooms, suites and villas, are set amidst lushly landscaped gardens, beachfront swimming pools and gourmet dining outlets. In addition to the usual resort attractions, guests can enjoy pony riding, helicopter sightseeing tours and participate in macaron making and oriental dance classes.